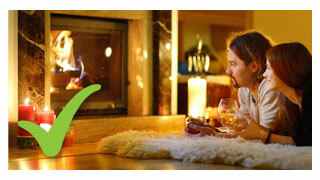 Ecologs are an eco-friendly alternative to wood and charcoal. 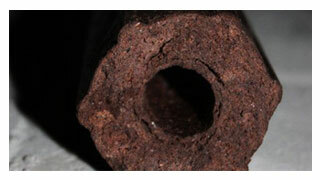 100% natural logs, made from compressed grape seeds without any additional chemicals or binding agents. Ecologs are ideal for BBQ and heating and completely safe to use in open braais and fireplaces, closed and combustion system ovens for internal heating, Weber-type kettle braais and pizza ovens. 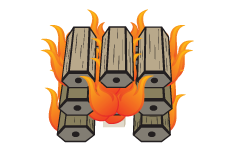 They’re odourless and burn like traditional firewood or charcoal, producing high heat and long-lasting coals! 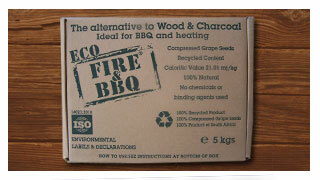 Eco Fire & BBQ Ecologs are conveniently packaged with a Green Lite Eco Firelighter, an eco-friendly and paraffin-free alternative to traditional firelighters. Fuelled by clean-burning vegetable oils, they’re low in odour and long burning. They’re also clean to handle and SABS safety tested. 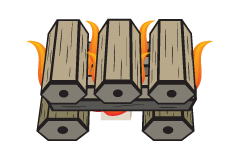 Using ecologs and eco firelighters to build your BBQ is just as easy as using traditional wood or charcoal, but a whole lot cleaner and less fuss! 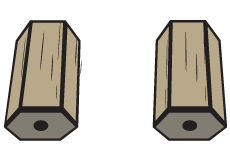 Place 2 Eco Logs roughly 15cm apart from each other on a clean and stable surface. 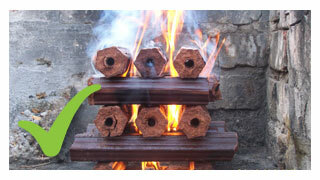 Place 3 logs 1cm apart on the bottom logs and light 2 firelighters under the centre log. Keep stacking the Eco Logs as indicated in step 2 until the bag or box is empty. 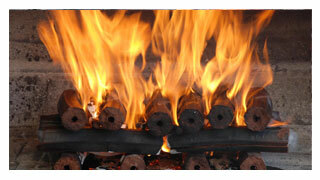 Allow the Eco Logs to reduce to coals as you would using traditional wood or charcoal. Ecologs are proudly manufactured in South Africa from compressed grape seeds. Eco logs are environmentally friendly and emit 30% less greenhouse gases and substantially less carbon dioxide and creosote. 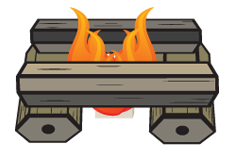 They’re 100% natural and burn like traditional wood, providing long-lasting heat and coals. 100% natural, always dry – no chemicals or binding agents. Easy to use with long-lasting heat and coals! Environmentally friendly – 100% natural grape seed ecologs! 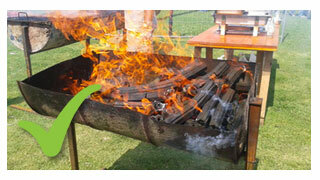 Build your BBQ the easy way – use ecologs for long-lasting heat and coals! Click here to order your Ecologs today!